Candy Cash tells you everything you need to know in the game. Candy and treats are the theme here in this 5 reel, 3 row game with 9 paylines. 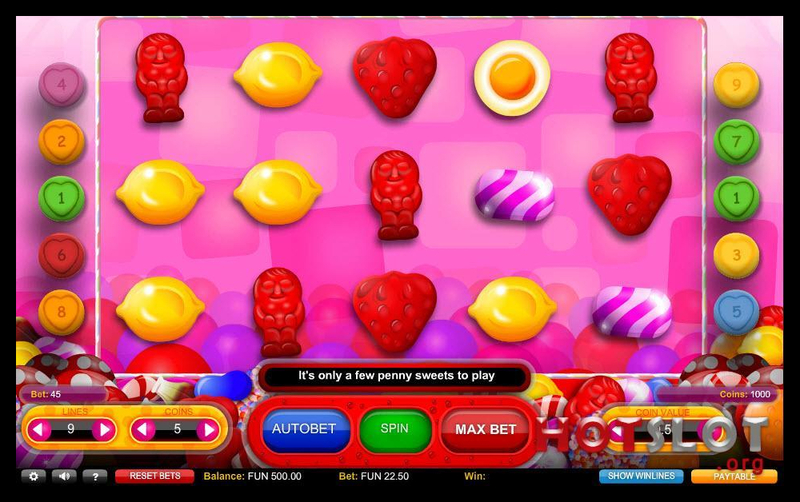 It joins similar titles on the same theme, such as Candy Dreams and Fruit vs Candy - both from Microgaming. The Candy Cash slot comes loaded with 2 bonus features. The first is activated by the ‘Liquorice Allsort’ scatter symbol anywhere on the reels. You will then earn 5, 10, 15, 20 or 25 free spins depending on the number of scatters in view. During the free spins all wins multiplied by 2. 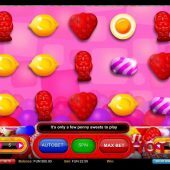 The second feature bonus will be triggered by 5 symbol combinations including ‘Fried Egg’, ‘Cola Bottle’ or ‘Strawberry Heart’ bonus symbols on a payline. This can offer some sweet rewards when it comes in.